Jumplead allows you identify the Twitter conversations that are important to you, whether it’s your company name, your products or people looking for advice in your marketplace. 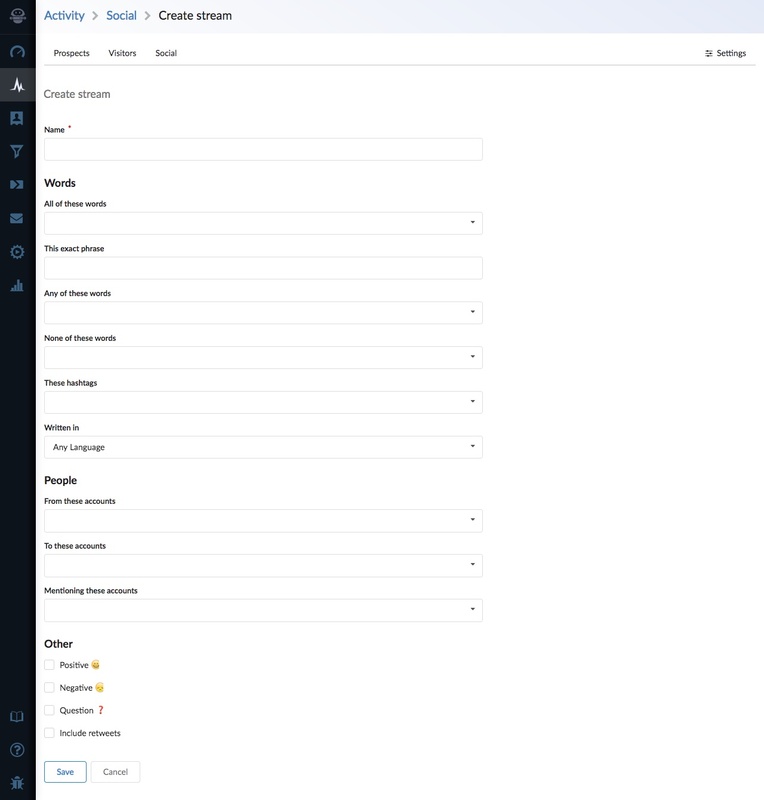 To create and manage ‘Social Streams’ for monitoring the words and phrases you are interested in, click on the ‘Social’ tab in the ‘Activity’ section. This is where your searches will be displayed, you can navigate your saved searches with the large dropdown button on the right. Create a new Social Stream by clicking the ‘Create stream’ button on the top right hand side of the page. 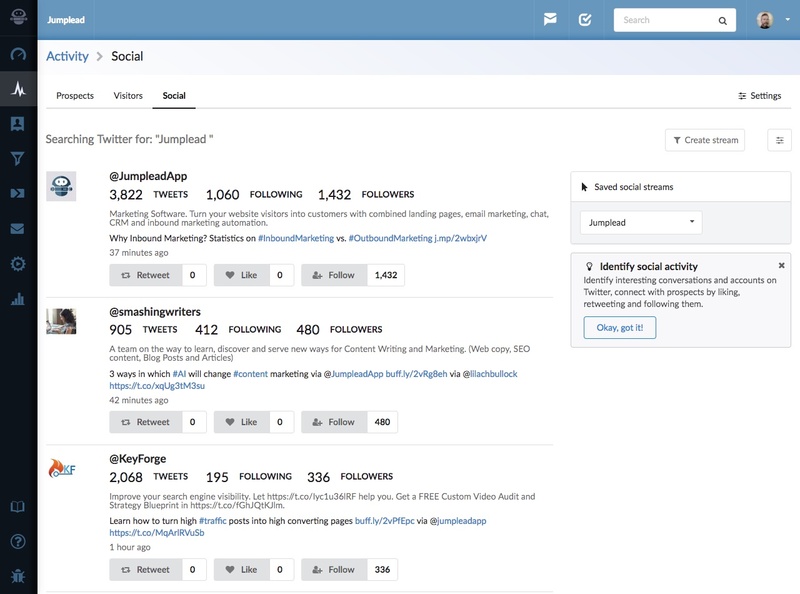 Add a name for your Social Stream and choose your desired search parameters, including whether the tweets should be in English, who they are to or from and whether they mention certain accounts. You can also choose to select tweets that are positive, negative or a even a question. Once you’ve set the options as you’d like them for your search click the ‘Save’ button. That’s it! whenever you come back to this page there’ll be an updated set of tweets for you to review.